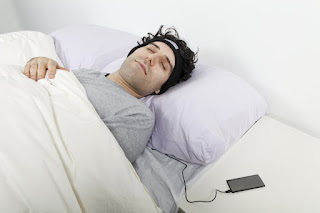 What do you think of this SleepPhones? Like to listen to music in bed? Regular headphones and ear buds are bulky and painful for side sleepers. SleepPhones by AcousticSheep are the most comfortable headphones to wear to sleep all night long. Just choose your favorite sleep soundtrack on your MP3 player, CD player, white noise machine, TV, or any other audio device and plug in SleepPhones. You spend a third of your life sleeping...make it enjoyable with SleepPhones. Who has the best price? Usually it's the US Amazon site, but sometimes it IS the Canadian or UK site!